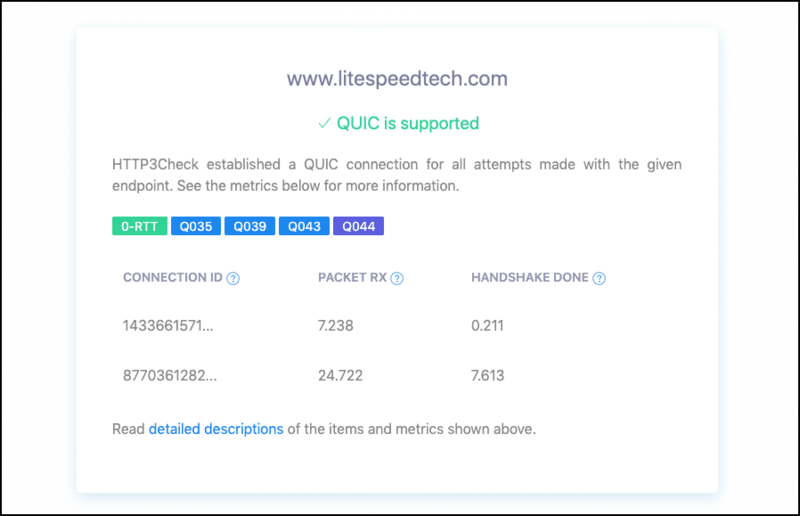 As you may know, LiteSpeed is committed to the new QUIC transport protocol as well as HTTP/3, the latest iteration of HTTP. gQUIC support comes standard with LiteSpeed Web Server and LiteSpeed Web ADC. Our own site features IETF-QUIC ID-18 and we are currently working hard on supporting HTTP/3 as well. 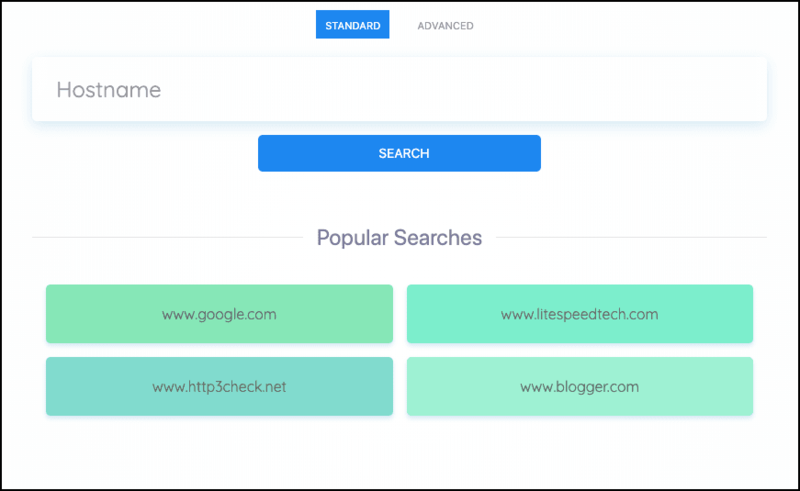 As these new protocols are rolled into our products as well as servers across the Internet, it is helpful to have tools for searching, checking, and troubleshooting. For this reason, we developed a hosted QUIC and HTTP/3 search tool called HTTP3Check. 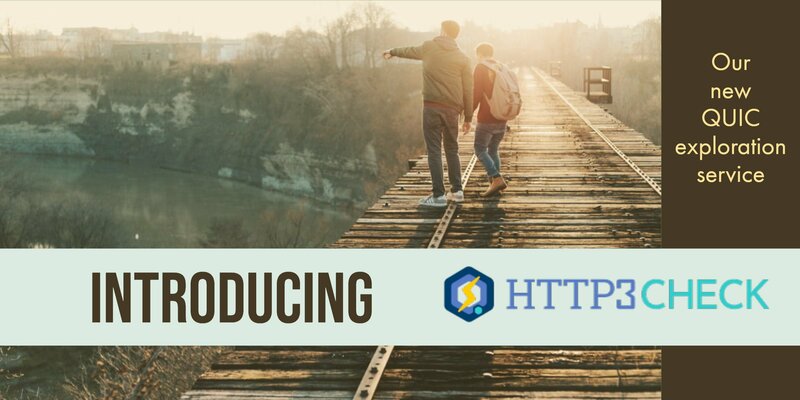 With this service, users can query servers by hostname to check for QUIC and HTTP/3 support. See popular searches to get an idea of what sites users are searching. HTTP3Check provides various items and metrics about the server’s QUIC support. With its first connection, the tool asks the given endpoint for all of the QUIC versions that it supports. After a successful first connection, the tool will open a second connection to test the server’s 0-RTT support. Along with the HTTP Header and the server’s certificate chain, the tool keeps track of packet and handshake timestamps to give the user an idea of the endpoint’s performance and latency. Finally, HTTP3Check provides the user with the QLog results for the attempted connections. 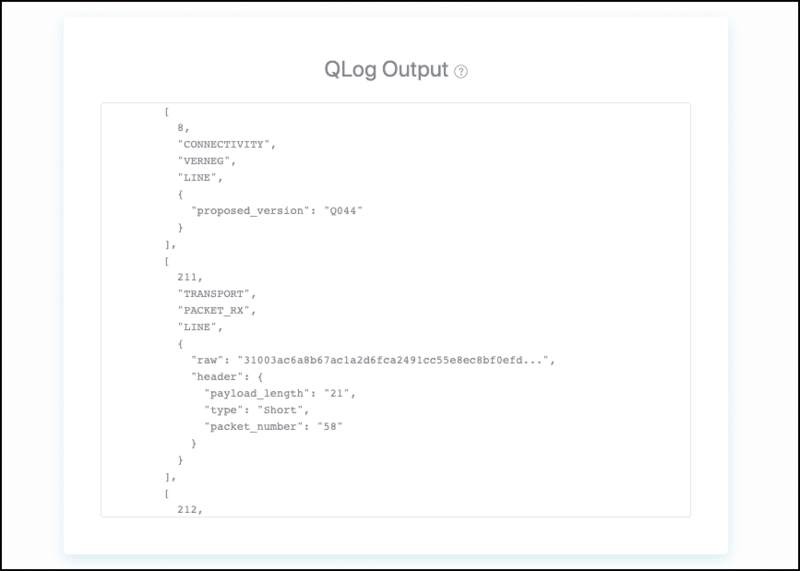 QLog is a standard under development for QUIC Connection debugging and visualization. Since the QLog contains information about all incoming packets and other important events, it is a great way to compare and troubleshoot servers. As the Internet prepares for new and improved protocols, prepare yourself with the tools necessary to search, query, and troubleshoot QUIC and HTTP/3.